For many student-athletes, high school sporting events provide the opportunity to build community, foster school spirit and develop personal pride as they play in front of their friends and families. 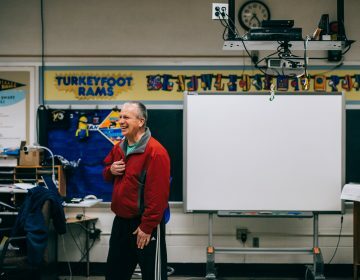 But across the cash-strapped Philadelphia School District, many schools have been faced with the prospect of turning away spectators from sports events because they can’t afford to pay for the security. Gathered on the rustic wooden bleachers in Murrell Dobbins High School 1930’s-era-gym, about two dozen fans cheer as players from Dobbins and arch rival Mastery Simon Gratz come back onto the court. Attendance wise, it’s not at all a bad showing for a Varsity basketball game on January afternoon that brought with it wind chills in the negative digits. 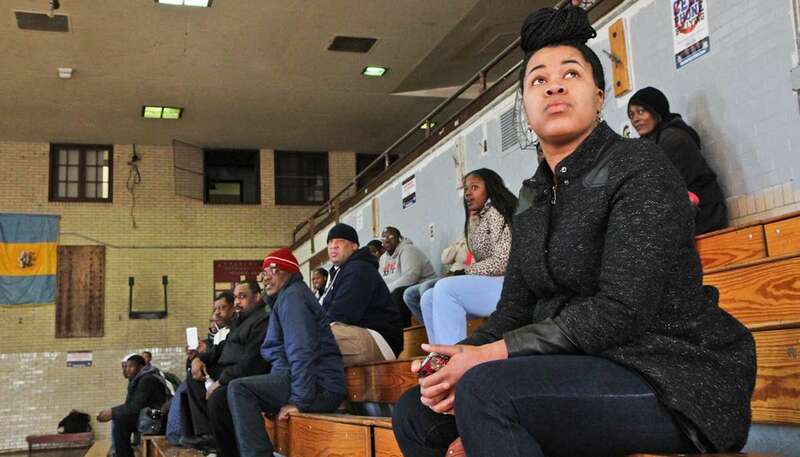 But even as temperatures climb out of the ‘sub-zero polar vortex’ range, there’s no guarantee that Philadelphia public league fans will actually be able to continue attending games. And if they don’t, like all schools across the district, officials say they can’t allow spectators to attend games. For many student-athletes that’s a devastating prospect. Turning fans away would be harsh Johnson says, but he understands it. When rival schools from nearby neighborhoods play each other, things can easily get out of hand. 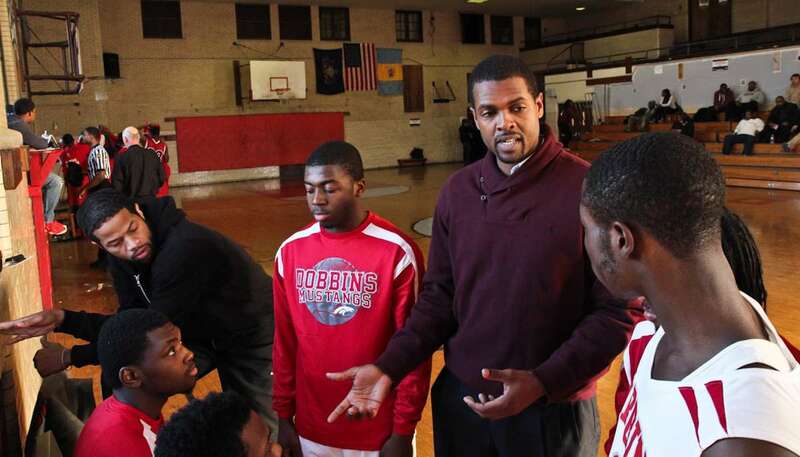 Coach Johnson is also the sole guidance counselor for Dobbins’ 600-plus students. “If a fight breaks out in a gym and there’s no security…it can be horror-scene,” he said. 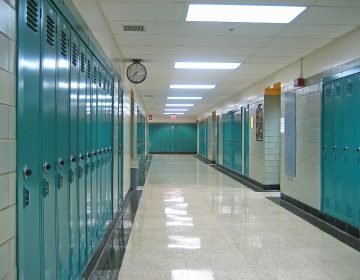 At Dobbins, the issue reached a more feverish-pitch last week when a student was jumped by three assailants outside the school. 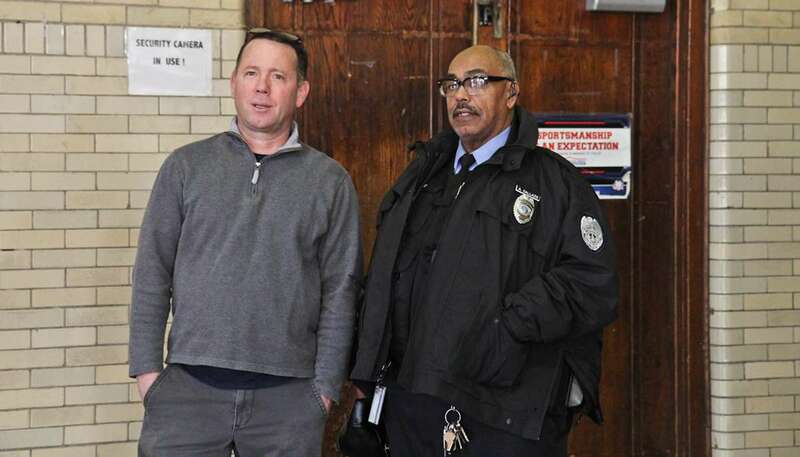 “It happened right after a game so that’s indicative of why we need security,” said John Sullivan, a history teacher who when not coaching football, volunteers after school for all things Dobbins athletics. 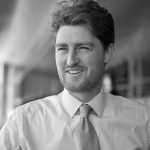 At basketball games, Sullivan works the door where Dobbins has tried to raise more revenue by increasing ticket prices. As three men approach the entrance, he asks them for the $3 dollar cover. But Sullivan laughs it off. “Goes to a good cause, guys,” he says. In the stands, Christen Boyd cheers on her nephew, rebound machine Tyron Roberson. She didn’t realize her entrance fee meant so much to the team. 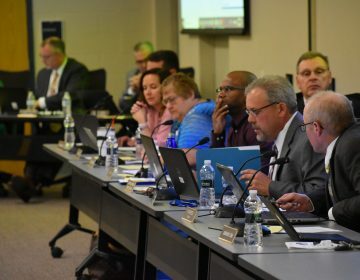 Sullivan’s almost embarrassed for the district to admit that the whole thing hinges on paying about $90 dollars a game for the services of two school police officers. 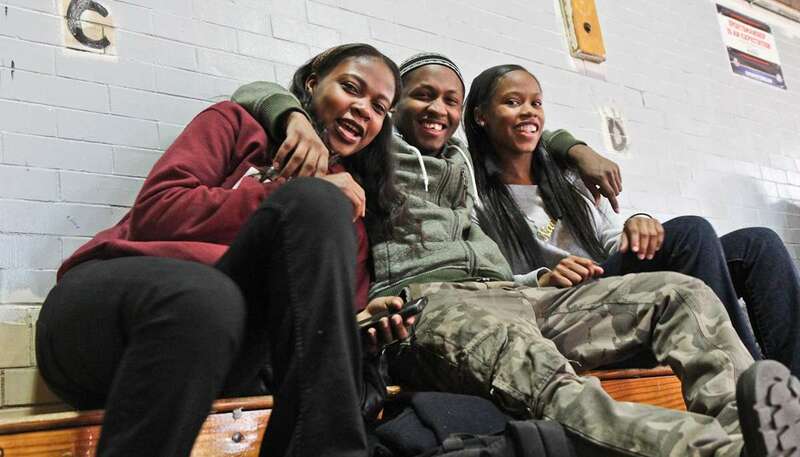 The school district says it can’t afford to provide security for the more than 1,000 girls and boys basketball games that occur in a season, but can provide funding if schools fear that a specific game will prove incendiary. At the end of this game, Dobbins gave their fans a 5 point win to walk away with, and raised $45 for the basketball program. 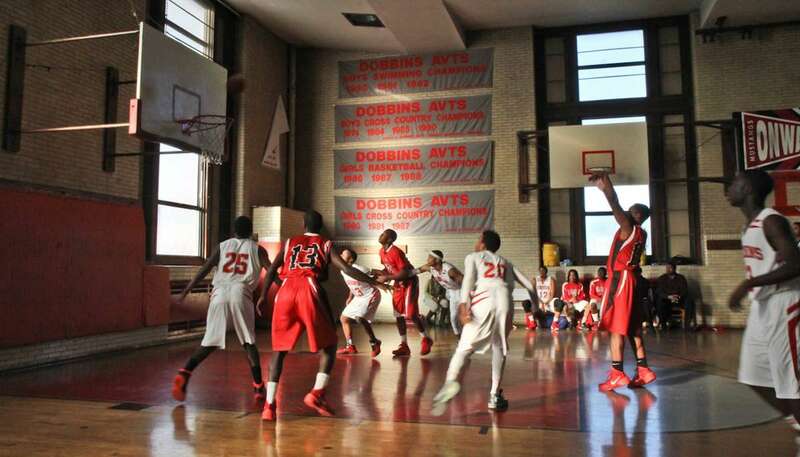 Between this and other fundraising, Dobbins coaches are hopeful that they’ll be able to continue opening games to the public.